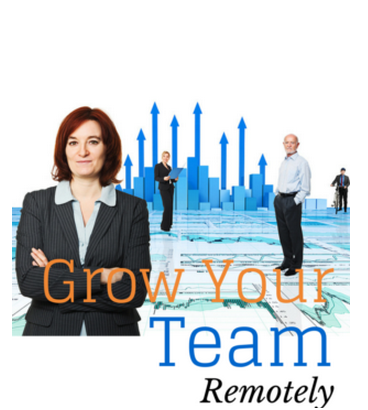 As your business grows so does the demand for more team members. Often this means having to move premises to accommodate these new team members, however, by introducing working from anywhere and co-working HR policies and practices into your organisation, this can all be a thing of the past. Increased access to the internet over multiple devices has seen an explosion of the number of web-based or ‘Cloud’ business solutions which allow people to work from anywhere. BYOD and hot desking policies mean that premium working space can be maximised by allowing staff to ‘book’ a working space when they need to work at the office. But what are the benefits of remote work? Increased productivity: People who work from home or at a location away from a busy office report increased productivity through few distractions and by spending less time travelling to and from work. Broaden your talent pool: Opening up your HR policies to incorporate anywhere and co-working options means that your can broaden your pool of talent by attracting from anywhere in Australia and beyond. Retain existing staff: The work-life benefits of this flexi-working means that you can retain any staff considering a sea or a tree change as they re-wire for full-time retirement as they can have their cake and eat it too by continuing to work in their new location. Cost effective: There are many financial savings through reduced office space and other infrastructure requirements such as hardware and software licensing costs. Large and small businesses are offering their staff this type of flexible working relationship. These include large corporations such as: Microsoft, Optus and Westpac, Government departments and agencies including Medibank, Regional Development Australia and SBS and many, many SMEs taking advantage of these type of employment relationship including eWorks, Klevar and Workforce Blueprint. So where can you find flexi-working staff? Start by asking your existing staff whether they would like to change their current working conditions. Existing staff with young children or planning to have a family may relish the opportunity to continue to work for you while look after their young children. And as mentioned above, your pre-retirees or people moving to new place to live may also welcome the opportunity to continue their working relationship with you, but at a distance. Social media sites like LinkedIn are designed to help you find the right staff, even tele-workers. These sites also have interest groups based on skills sets that you are looking for eg digital marketing, graphic design, bookkeeping. Engaging in dialogue and asking the right questions in these groups will enable you to invite discussions with people who could potentially suit your organisational make-up as a tele-worker. Business incubators like Hub Australia are full of people who want the freedom of working closer to home but need the collegial benefits of working with other people in a communal space. So if you need to grow your team but don’t want to expand your office or move to a new location, consider introducing some of these effective HR policies and processes into your organisation. This article was written by Allison Miller, Director and Principal E-business / E-learning Consultant of Vanguard Visions. Allison has been involved in education and training for over twenty years as an educator, change manager, and e-learning leader and innovator. More recently, Allison has also been helping small businesses work smarter in a digital economy.